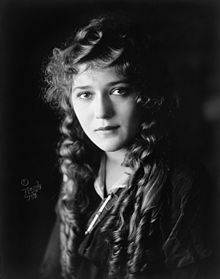 Mary Pickford, pe Gladys Marie Smith he gwir anv, ganet e Toronto e 1892 ha marvet e 1979, a oa un aktourez stadunanat, a orin kanadian, a c'hoarie er filmoù digomz. Lesanvet e oa "America's Sweetheart," "Little Mary" ha "The girl with the curls". He breur Jack hag he c'hoar Lottie a voe aktourien ivez. Kemmoù diwezhañ degaset d'ar bajenn-mañ d'an 13 Ebr 2015, da 23:55.